Each day she triumphs in the world of her therapy appointments. She has a wonderful team that supports her and pushes her at the same time. Being in a program that is structured is essential, it will help tremendously in areas that you once felt were not a possibility for your child. Honestly I have been there, thinking this wont work or she will never get there. It’s normal to think like this, but it’s better to change that thought process. Once you do the world will open for you as a parent and for your child. We make sure that she gets the best help we can locally, we make sure that she is being pushed to complete the goals that are set for her. Those are so important, they lead to a life of independence for her… she may not have the ability to live on her own but if she can dress herself someday I would be a happy mother. In our journey we have been through a lot and there is always more to come. She has made progress in ways that I have prayed about for the last 4 years and it is all due to her therapy team. Yes I do take some credit myself as a parent for just not giving up and making all of those phone calls and doing all the research to make sure she is in the best program. But without her “dream team” she would be far from where she is today. Being a special needs parent is seriously overwhelming at times, you are going to have to adjust everything and learn how to navigate a system that will bring you to your knees… but you can do this. I want to share a few tips with you that I think helped us along the way. They wont work for each of you, and every state is different when it comes to services offered. 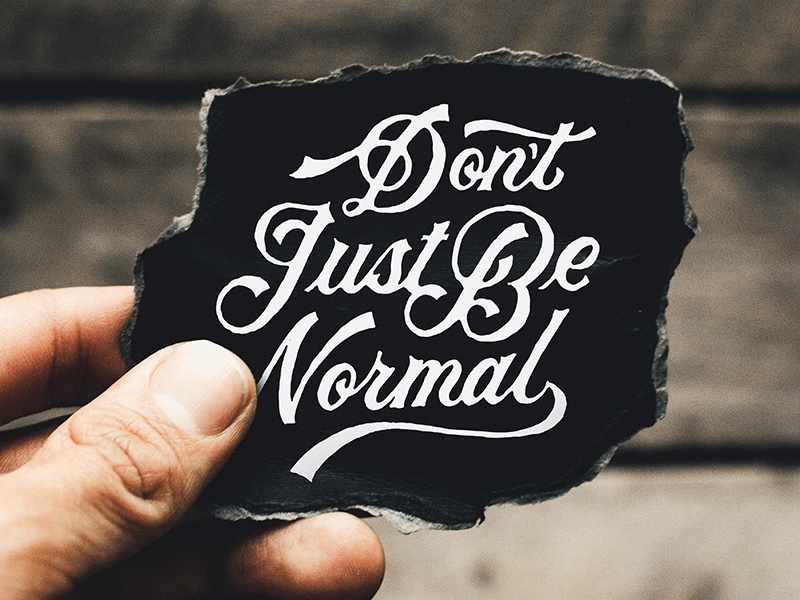 Remember normal is boring… The best thing I can tell any of you is do not lose hope. Our world consists of 3 different forms of weekly therapy sessions for McKinley. They are Speech Therapy, Occupational Therapy and ABA in home sessions. She is almost 5 and we have seen the same OT since she was 1. The ABA and SLP have been going for about 1 year now and they are all amazing. If there is a day where she misses a session due to being sick, she gets upset. She is now used to the routine and actually enjoys it. When her ABA team comes to our house or wherever she is her excitement is contagious. She even greets them now, I’m waiting for the day when she cries when they leave. This is one clue that you always need to watch for and ask yourself.. Does my child seem to enjoy the services that they are getting? If you have a child who lives without words like mine, watch them and you will know. Always trust your gut, best advice for any parent. Ask other parents what they think of their therapy teams and seek out info online within your community. Where I live we have networks that help with families of children with medical needs, they are like sinking pits full of so much amazing info that it almost swallows you whole at times, lol. You may want to take notes trust me. Ask your local disability services team within your county for the state you live in. Compare the plans for your child with other agencies if you need to. You are allowed to shop around, it’s like finding the best rate on car insurance this is your choice. Do not settle just because bingo you got in and have an appointment. Sometimes the best place is the one with the longest waiting list, I know that part is frustrating. I once had to set an alarm on my phone weekly to call a local SLP facility to remind them that we were on the list and needed in bad. I remember one time we fired an ABA team that we had dealt with, it was hard to do. Honestly made me feel awful, but it was not the right fit for us and the plan that was in place was not going to help my daughter move forward. The new therapist on staff also spoke to my child like she was a baby and was more interested in our family pets… simple things that you can pick up on in picking the best team. We once also had an SLP team that we fired as well. They wouldn’t commit to a solid day each week and wanted to make things go their way. That is fine but for us we needed the consistent scheduling to make a routine and keep it for us and for my little girl, she loves to be on a routine based schedule. Be the dream team leader. Make a binder and put aside all of the notes and info that you collect and make it easy on you for the future, or for your spouse in case you had the day off of this world and they took over. Whatever it may be just try your best and don’t give up on being an advocate for your child in the world of therapy. I have realized that you will get quality if you work for it. You will get basic if you let referrals take over and go with the flow…. you need to be the flow right now. It’s not a program that has been proven in studies to be effective. There is no collection of data to track the child’s behaviors and skill levels to determine the course of treatment. There is no supervision of young or inexperienced practitioners. There is a lack of individualized curriculum. Some agencies providing the ABA practitioner have a cookie-cutter approach to all 2-year-olds or all 6-year-olds, regardless of what the child’s individual needs are. There is a lack of positive reinforcement techniques. There’s a lot of focus on getting rid of behaviors considered problematic, and little on development of new skills and behaviors. Pursue hiring someone with the newer registered behavior technician (RBT) credential. The Behavior Analysis Certification Board (BACB) — the same organization responsible for the BCBA credential — created the RBT certificate program in response to the shortage of BCBAs. An RBT is a paraprofessional who works directly with the child to implement ABA under the supervision of a BCBA. The supervisor does the child’s assessment and designs the treatment plan. Requirements for the RBT involve only a high school diploma, a background check and 40 hours of training, which can be done online.The RBT must also pass an exam and an evaluation of her mastery of the relevant skills, based on observation of her working with a child. Finding and selecting an occupational therapist to help your child, yourself, and/or your family is an important decision. Like all professionals, OTs differ in training, philosophy, and personality. The best choice is an OT who is a good “fit” for your child and yourself – someone you and/or your child likes and with whom you feel connected. Makes parent education an integral part of the treatment program, and we don’t mean five minutes at the end of a treatment session! Parents need and deserve much more than that! Several dedicated hours for parent feedback and education should be built into the treatment plan. Uses purposeful sensory stimulation to work on “occupations” such as eating, dressing, playing with others, social participation, self-regulation, and self-esteem. Asks questions that will lead to effective understanding of you, your child, and your family. Don’t be afraid to ask questions yourself either! If you don’t understand what your OT is doing, it is crucial to confirm that his or her methods and activities are grounded in sound therapeutic concepts and part of a well-defined strategy. If the therapist cannot clearly answer your questions, it may be a red flag that he or she lacks the training or understanding to provide effective intervention. Listens to you, believes you, and fully believes in the potential of your child to change. The outcomes of OT are functional changes – differences that you, your child’s teacher, and others can see. If you can’t tell if your child is improving, he or she is not improving enough! Speech-language pathologists (SLPs) play a central role in the screening, assessment, diagnosis, and treatment of persons with ASD. The professional roles and activities in speech-language pathology include clinical/educational services (diagnosis, assessment, planning, and treatment); prevention and advocacy; and education, administration, and research. SeeASHA’s Scope of Practice in Speech-Language Pathology (2016). There are so many different avenues you can take in the world of therapy for yourself or your child, golden rule and best advice is to trust your gut. I said it before and mean it… you know your child best and if you advocate hard for them you will make it and there will be endless support around you.